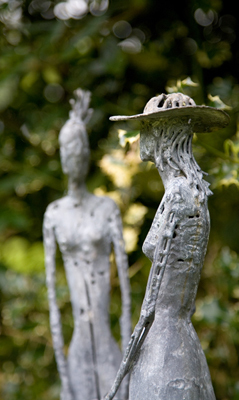 During September Mount Pleasant Gardens (Kelsall, Cheshire) held their annual Sculpture Exhibition. Artists from around the area brought their work to be displayed throughout the 10 acre landscaped gardens. These two iron ladies were chatting in the gardens.